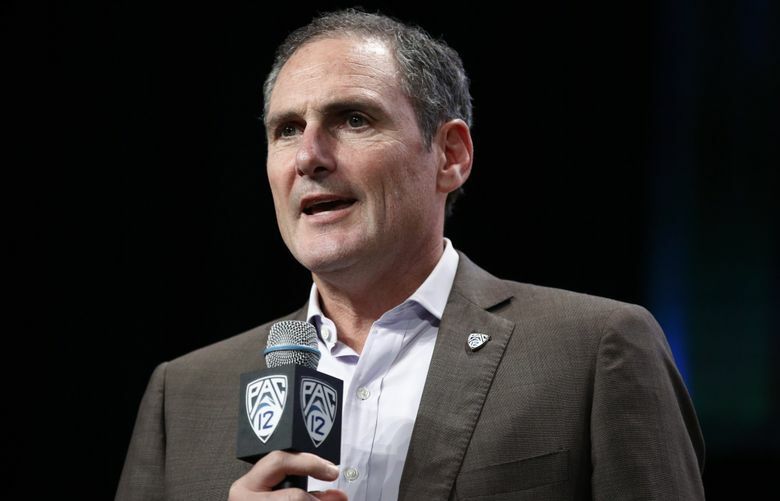 The Pac-12 was roiling when its athletic directors gathered in Santa Clara, Calif., in late October for their fall meeting with conference executives. The officiating scandal, in which an untrained administrator interfered with the instant-replay process, was threatening to swallow the football season, and the athletic directors were livid. Frustration with unmet revenue projections, frustration with the sagging Pac-12 Networks, with misguided messaging and exorbitant spending and, above all, frustration with their lack of influence in setting conference policy and direction — feeling like second-class citizens in their own conference. The ADs were irate, the culture was busted, and the semiannual, state-of-the-conference meeting turned intense. The immediate priority was getting control of the instant-replay crisis. And that required buy-in from the athletic directors. It only took a few years for that promise to disappear into the fog of unmet financial expectations, the DirecTV stalemate, conference spending, night kickoffs, the basketball-officiating scandal (remember Bountygate?) and the Pac-12 Networks’ struggle for revenue and relevance. “That was a difficult time, with the challenge around football officiating,’’ said Arizona’s Dave Heeke, who serves as chair of the athletic directors’ council. DiStefano, who arrived in Boulder in 1974, is an avid reader of presidential biographies. His management style tilts heavily toward Lincoln and his “Team of Rivals.” Dissenting views and healthy discussion, he believes, are vital to a healthy policymaking process. DiStefano got to know Woody Hayes during his time as a student at Ohio State, but his perspective on athletics has been shaped by his role as Colorado’s faculty athletic representative, his decadelong tenure as chancellor and his close relationship with Buffaloes athletic director Rick George. George, who once served as the recruiting coordinator for legendary Colorado coach Bill McCartney, is respected by Pac-12 peers and is said to have a clear-eyed view of conference culture and operations. “That’s how I’ve operated at Colorado, with a great deal of cooperation with my senior-level team, including our athletic director,’’ DiStefano said last week. “It’s a leadership style that I’ve adopted over the years. It works best when you hear different opinions before decisions are made. Scott’s approach is to meet separately with the athletic directors and presidents/chancellors, adding to the sense among the ADs they were viewed in a subordinate capacity. Scott’s contract runs through the spring of 2022. Decisions to extend executives are typically made well in advance of contract expirations. Thus far, the results are encouraging, with a slew of subcommittees examining issues seen as essential to the conference’s long-term health, including scheduling, officiating, the football-championship game, media rights and student-athlete wellness matters. The group pushed for an outside firm, Sibson Consulting, to review football officiating. After the October controversy, the athletic directors determined an independent assessment was the best way to correct flaws and restore credibility to the process.